- International academic background with a Bachelor and Master degree in Business Management with HR management. - A young energetic recruitment specialist in various sectors of Services industry. 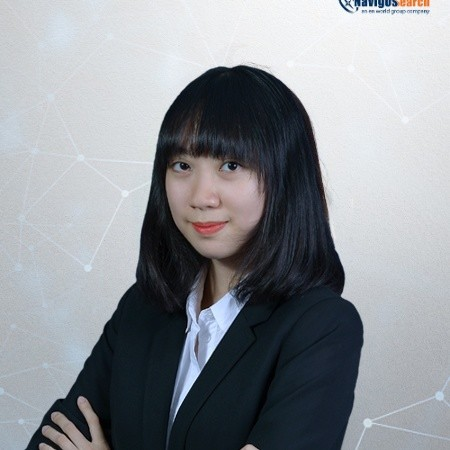 - Strongly passionate in HRM, eager to bring her knowledge and HR practice as well as a particular viewpoint from her cross-cultural experience and observation to the team. - Open-minded, and patient person, willing to actively listen to clients and candidates and support with professional manner.